To unlock an Adventure Pack simply place your Location Piece on the Portal of Power and summon it into the game in the same way you would a Skylander. The Portal of Power in the game is located just outside the Eternal Archives entrance. Unlike previous games the Adventure Packs are quite different to the regular levels in the game and they contribute no stars to your total. The Nightmare Express level is very straightforward, move through the train cars defeating the enemies that appear. Stop the Nightmare Express: In this challenge you simply have to reach the front of the Nightmare Express and pull a lever, to earn a better score (0 is best) you just have to keep your Skylanders alive. So if your Skylander is very low on health it would be advised to switch it out for another. Stop the Nightmare Express as fast as you can: Same as before except that instead of needing to keep Skylanders alive you need to get to the front as quickly as you can. Find a Skylander of yours that does a lot of damage quickly and can move quite fast. Invisible enemies challenge: The same as the first one except that you can't see the enemies, you can however see weapons that they're carrying and other effects that they may be causing. Try to play carefully this time as there's not a time limit, if the door won't open just spam an attack around the place and you'll probably hit an enemy standing still at the other end of the room. Clear as many wagons as you can in the given time: You get 10 minutes to get as far as you can, every single car counts even ones with no enemies in but obviously you'll need to clear the ones with enemies in to progress further. You can pause the game to check your progress if you've lost count or are unsure just how close you are to winning. This Adventure Pack is quite different to the Nightmare Express, in it you must first fix a cannon by defeating a few Mabu to get the parts they drop and then babysit the cannon as it drives along the track. At three points in the track you need to manually aim the cannon and shoot some locks on a drawbridge. If a Mabu is too close to the cannon it will stop moving, defeat the Mabu to get it rolling again. There are also a couple of locked gates where you'll need to wander slightly off the path to find the key(s). This is all set and is not random in any manner, every time you go through the layout will be exactly the same. Destroy Evil-Eon's cannon: Simply get to the end of the level with as few casualties as possible. Switch out a Skylander if it's close to death. Destroy Evil-Eon's cannon as fast as you can: This time you've got to do it quickly, first get the parts as quickly as you can then make sure to keep the cannon moving as much as you can. Try not to leave it sitting still for very long so get the keys before it gets close to the gates. The timer is still ticking while you're aiming the cannon too so if you're having trouble with keeping the system stable try putting it on a table and using the circle pad to aim instead. Deadly projectiles: In this one your Skylander will get defeated if it is hit by a Mabu as it lands, you can be attacked by a Mabu that's already on the ground just fine but keep a close eye on the targets (also don't get any of the Treasure Chests as you'll stand still too long and basically invite a Mabu to land on you). Take down as many evil Mabu as possible in the given time: And now for something different, this time you're just given a cannon to aim and Mabu being lifted by balloons to shoot down. The whole thing is really slow and deliberate until the closing when you'll be overwhelmed by Mabu numbers and speed, just keep shooting at them as accurately as you can. The ones further away need you to shoot higher above them otherwise you'll just miss. You can check your score in the pause menu but you won't really reach all that high a number until the final push. Find and collect all the forgotten relics: There are eight relics to find with the first one directly ahead when you start. Save it by hitting it of course. The second one is found by clearing the darkness ahead after defeating a few waves of Chompies. The third is further ahead but by the time you get there the orb will be starting to run out (you can see the timer ticking off you) so as soon as you smash it go to the right to stand in the light and get out of the darkness. You need to then defeat more Chompies to create another orb and clear the darkness again. That'll happen a lot. The fourth is at the back, number five and six are up the steps to the left and number seven and eight up the stairs to the right. 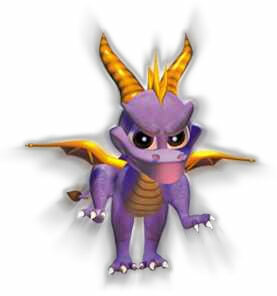 This one is counting number of Skylanders you let die so switch out to a healthy Skylander if you're running low. Find and collect all the forgotten relics as fast as you can: For this one you might want to more often brave the darkness without bothering to light up the area. You won't survive for too long but it may be long enough to help get your time down a bit. Deadly shroud: Now this time you're going to really want to keep an eye on that timer and on the locations of the safe zones. Only run to the next one if you know you have enough time left to get there otherwise stay put and just clear the darkness again. Remember that the darkness doesn't stop you from hitting the relics from range when you're standing in the light. Collect as many forgotten relic as you can in the given time: The time is quite low on this one but it should be plenty, especially with the simplified layout this time. Make sure to get at least three or four relics each time you create an orb and you'll have all 16 before the timer even gets close to running out. Destroy the Sunscraper Spire's defense system: The task here is to smash the white defense crystals, to do that you just attack them. They will defend themselves after a short time so duck behind the crystal pillars when the blue overlay appears to avoid taking damage and then pop back out and carry on attacking. In the rooms that have no pillars you should be aware that the crystal only has a limited range, so just back away when it starts up. And in the final room make sure to stand on the circular platforms to get above the attack from the final crystal. Don't worry too much about fighting the crystal enemies as they'll just reappear each time the crystals pulse. Destroy the Sunscraper Spire's defense system as fast as you can: Some ranged Skylanders are going to be good at getting this done quickly as they can continue to attack even when hiding from the crystal but others will still be blocked by the crystal, if you have one that can attack from afar they'll probably be quite a good choice here. Otherwise just concentrate on destroying the crystals and ignoring the enemies. Deadly orb blasts: Means be really careful of the blasts coming from the crystals, hide or move as far out of the danger zone as soon as you see the blue haze appear. And on the final crystal jump as the platforms start to lower. Destroy as many orbs as you can in the given time: A new layout with sixteen of the "orbs" around the same circular location, as they don't all activate at the same time you can switch between one and another as you try to whittle them all down. The only enemies in here are chompies that you can easily kill so really concentrate on attacking the orbs to get as many as you can in the short time given.